A common question to our tech support team is about completing the square for a univariate polynomial of even degree, and how to do that in Maple. We’ve put together a solution that we think you’ll find useful. If you have any alternative methods or improvements to our code, let us know! # polynomial of even degree. 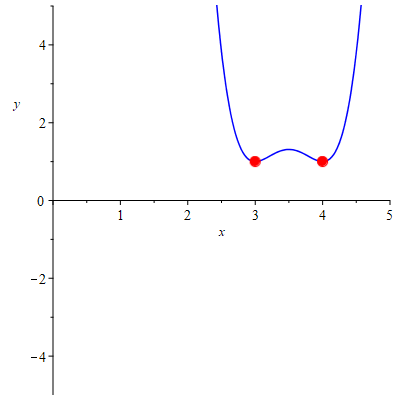 # Degree and parameters of polynomial. # General polynomial of square plus constant. # Solve for unknowns in g.
# so that the polynomial within the square is monic. # (which is restricted to quadratic expressions). tells us that the minimum value of the expression is 1, and it occurs at x=3 and x=4.